Experience is a premium WordPress theme built to be intuitive and modern. It’s versatility makes it suitable for a wide range of uses; from app landing pages, to small business showcases, to creative portfolios. Experience theme is packed with features that allow you to get creative with your site’s design. Theme options, template options, multi language support, customizable page headers, portfolio archive styles, Visual Composer compatibility and more! Quick to install and setup. We’ve even included a couple of colour presets and demo content xmls to get you on your way to a show stopping site. Your content will shine with Visual Composer (sold separately) and the custom Visual Composer elements built specifically for use with Experience theme. Reach an international audience in multiple languages with WPML plugin support and custom header language selector. The WordPress theme for those who want a website with personality. 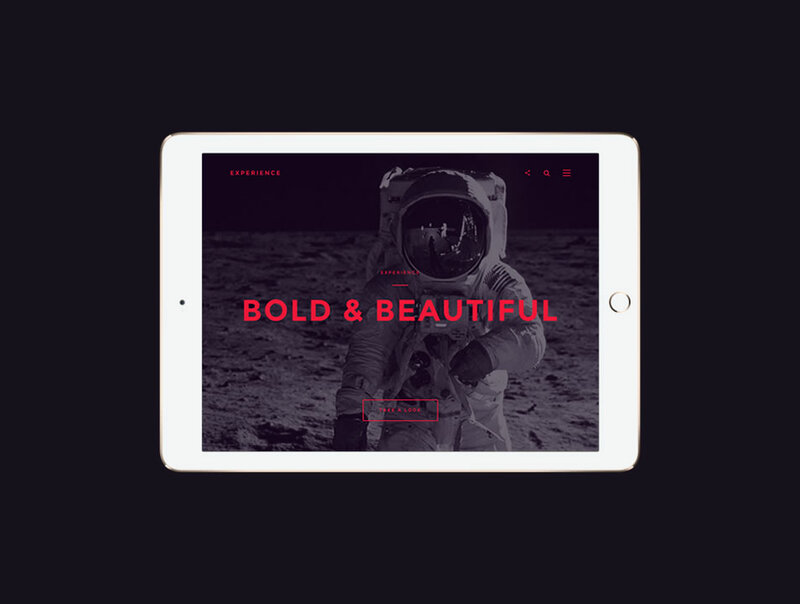 Experience is designed to be bold so that your website stands out from the crowd. 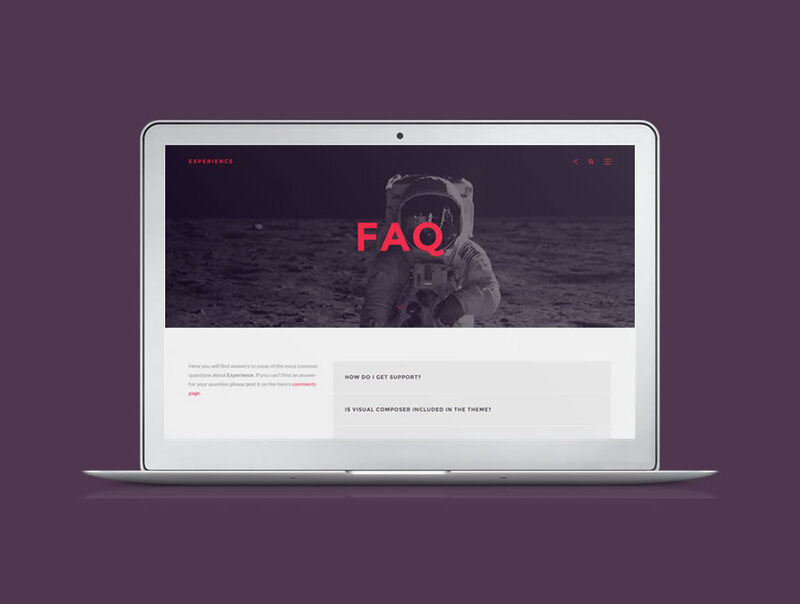 Possibly the coolest animated navigation menu you’ll see in any WordPress theme. It’s important your site always looks great. 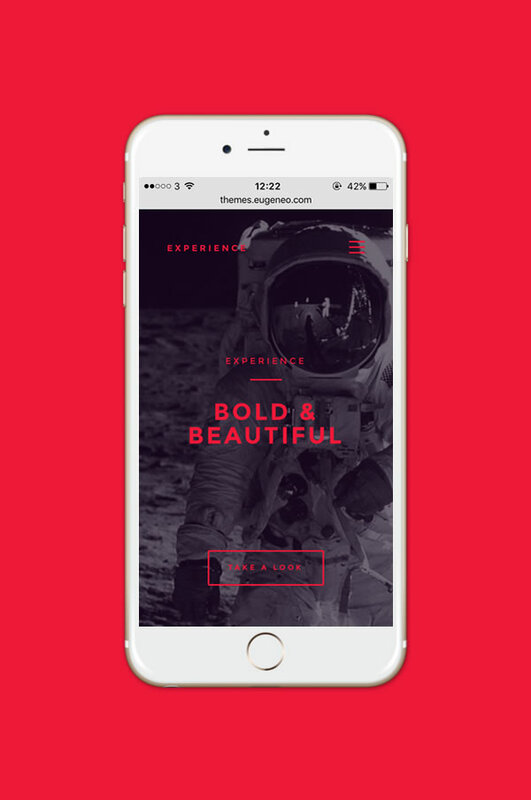 Experience allows you to create a completely responsive site. Experience is built to work in partnership with Visual Composer (sold separately) giving you complete freedom of your site’s layout. As if Visual Composer wasn’t already good enough, Experience includes the Experience Visual Composer Extension plugin – a ton of custom Visual Composer building blocks designed for use with the Experience theme! Check out the demos below to see what is possible with Experience theme. Here you will find answers to some of the most common questions about Experience. If you can’t find an answer for your question please post it on the item’s comments page. Is Visual Composer included in the theme? No. The Experience theme is compatible with the Visual Composer plugin and the two together make the ideal partnership for creating a great website. 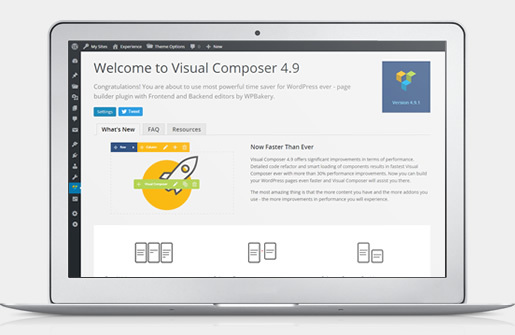 However, we believe it is better for you, the user, if you purchase your own Visual Composer license. We make every effort to help everyone who asks for assistance, however, it is not possible for us to provide theme customization and code alterations for individual users. We will point you in the right direction by providing you with the theory behind what you’re trying to achieve as well as recommended reading and tutorials to help you get there.